Horticulture is increasing in popularity, as it allows one to have complete control of the environment in which the plants grow. However, you need the right equipment for hydroponic agriculture, among the most important is a grow tent. 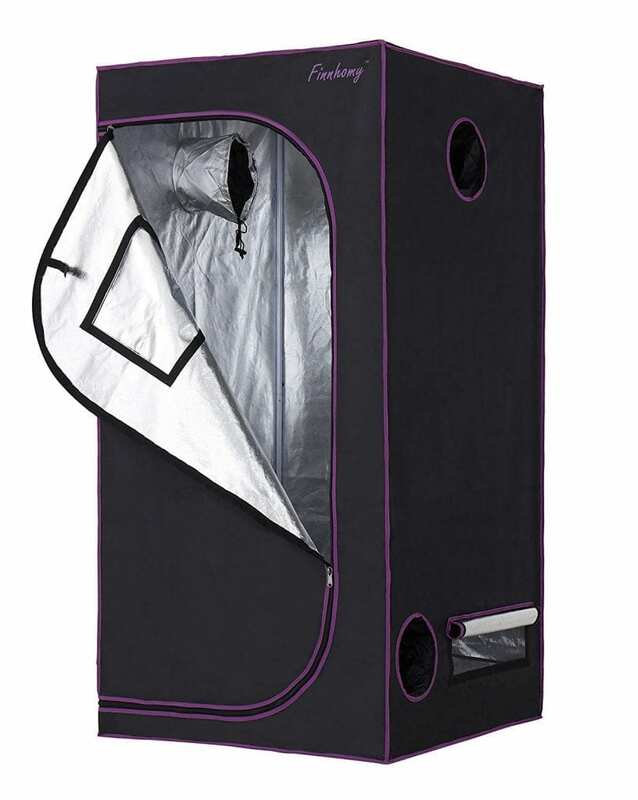 A grow tent allows you to control the growing conditions for the plants. A 3×3 grow tent tent is convenient and affordable. Who is a 3×3 grow tent for? What to look for in a grow tent? Give you a good yield. The following 3×3 grow tent reviews will provide you with information so you can pick the best indoor grow tent for your needs. We would also talk about 3×3 grow tent setup. The tents listed below are easy-to-use, long-lasting and worth the price. The durability of a grow tent is obviously very important, it has to be resistant to tears which are dependent on the fabric’s density. The common density of tents is 120-600D, although the greater the better. However, buying the strongest fabric tent is recommended as it keeps odors, noise inside while keeping diseases & spores out. A thick tent also keeps light from leaking in. It should be strong enough to endure stringent weather and spacious to store tools for gardening. Different companies tend to offer varying patterns in the reflective materials, however, the best reflective properties are considered to be provided by the diamond-shaped Mylar. If the quality is not given due care and attention, the whole structure can come collapsing down regardless of how well you set up your grow tent. 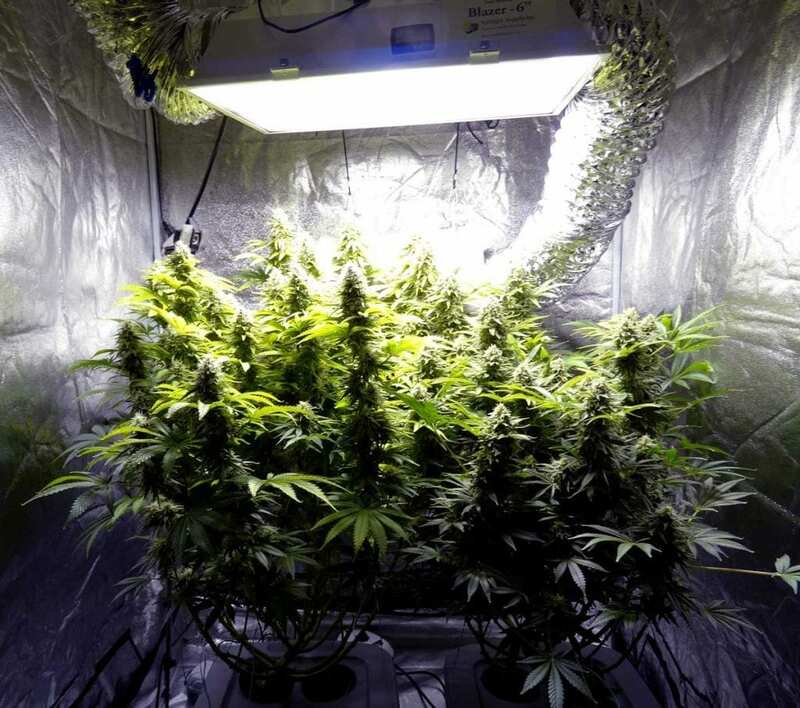 Effective use of the grow lights is among the key reasons for using a grow tent. The more effectively a tent can keep external light out and grow light in the better. Ideally, there should be complete darkness in the tent without grow lights. Grow tents are constructed out of interlocking poles, some can be adjusted for height. If your plants grow vertically then it is perfect for you. Steel poles are the best bet, as well as ones that can be snapped locked in place. Interested in larger grow tents? Check out our 4×4 grow tent reviews or our 4×8 grow tent reviews. Vivosun is a well-reputed company in the market, and as such the 3×3 grow tent has spectacular quality. The fabric density is 600D thus entirely light and waterproof. 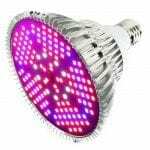 95 % of the interior is constructed out of reflective material, thus it reflects about all light within the grow-tent thus improving the effectiveness of your grow lights. The tents are long-lasting due to frame that has metal poles and connectors. The door of the tent has a smooth zipper, it has windows that let you observe the plants without moving the environment. No tools are needed to assemble the tent. It also comes with a 2-year warranty and weighs 22lbs. The floor trays can be removed. High-quality, dense and thick 600D fabric. 2-year warranty on the 3×3 grow tent. Inside is coated with mylar. 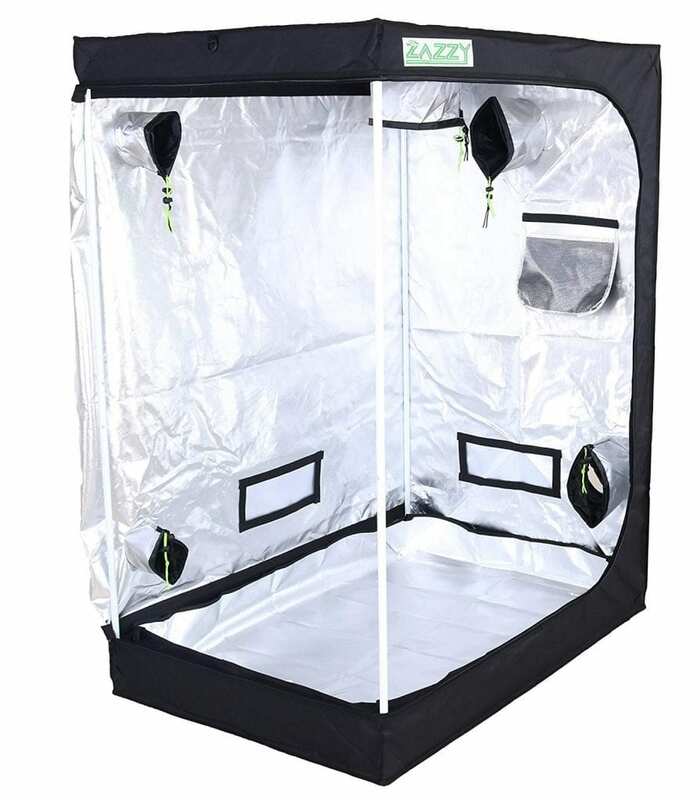 The Finnhomy grow tent comes with a 3×3 grow tent, a floor tray made of mylar that can be removed, 2 filtering straps and a manual for the user to be able to set up the tent easily and quickly without the need of any tools. The tent’s canvas is constructed of a high-quality nylon oxford fabric with a density of 600D, and the interior is completely coated with a mylar material that is very reflective. The durable frame is sturdy and long-lasting, this is because the bars and poles are made of metals that can withstand a weight of roughly about a 100lbs. A floor tray that has a lip which is five inches tall lip and removable. The SBS zipper on the tent is heavy duty hence provides an extra layer of protection for the grow tent. The 3×3 grow tent also has various avenues for ventilation and ports that have mesh strings for easy attachments of filters and fans. The tent has extra flaps that are necessary to control how much of the light escapes out or comes in. The 3×3 grow tent weighs 23.9lbs. A floor tray can be removed. TopoLite is produced by a company that has a lot of experience with horticulture industry. They make most all accessories required for hydroponics. Thus they have a very good understanding of how all the equipment needs work in unison to achieve a high yield and the optimal results. Their depth of understanding is reflected in the design of the 3×3 grow tent, as it is very convenient and easy to set up and grow plants from beginning to end. The material used for tents is a high density, durable canvas of 600D thickness. The interior has a highly reflective diamond shaped mylar. Your plants are protected from any external light leaking in as the nylon fabric has a double long-lasting stitching around the hem of the tent. The frames are very durable and hence easily able to support any ventilation or fans. The tent has a green window which filters white light out thus maintaining a continuous condition conducive for growing plants even as you check up on your plants. It has 7 size variants thus changing the scale of your project easy. Reviews claim material is flimsy. This size of the Hydroplanet is not available anymore. We have inserted the image and link to the Hydroplanet 60”x31″x80″ for you. The HydroPlanet grow tent is one of the best 3×3 grow tents available on the market. It has no PVC in its structure thus making it eco-friendly and a great option for plants grown via hydroponics. The inside of the tent is a 100% highly reflective mylar material thus conserving energy. 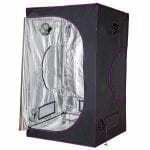 The grow tent is rust resistant as the frame is made of stainless steel. This makes the tent durable and long-lasting. The door of the tent has a zipper in place which makes it easy-to-use and installs. 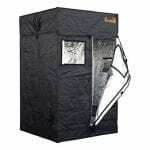 It is the ideal 3×3 grow tent for anyone looking for a durable grow tent on a budget. The Zazzy grow tent comes with a manual which makes it’s setting up very easy. The tent has sturdy steel poles that can support weights up to 110 pounds. Hence, you can hang whichever ventilation or fan systems you want from them. 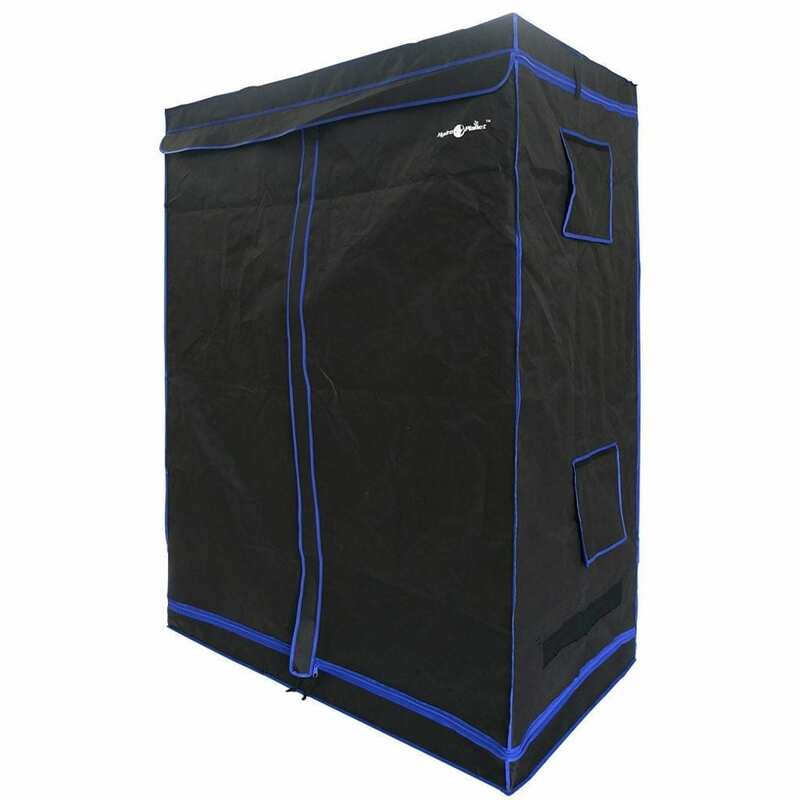 The heavy-duty zipper has ribbon that is 1.5 inches wide that prevents any light from leaking out of the grow tent, thus giving you entire control over the environment. The canvas used for the construction is a high-quality, high-density 600D nylon oxford fabric. It is tear and light proof. The interior of the tent is entirely made up of 100% highly reflective mylar, thus ensuring that energy is conserved. It also has a Mylar tray for the floor which is removable to clean easily if there are any spills. There are 2 straps for filtering that come with the tent. 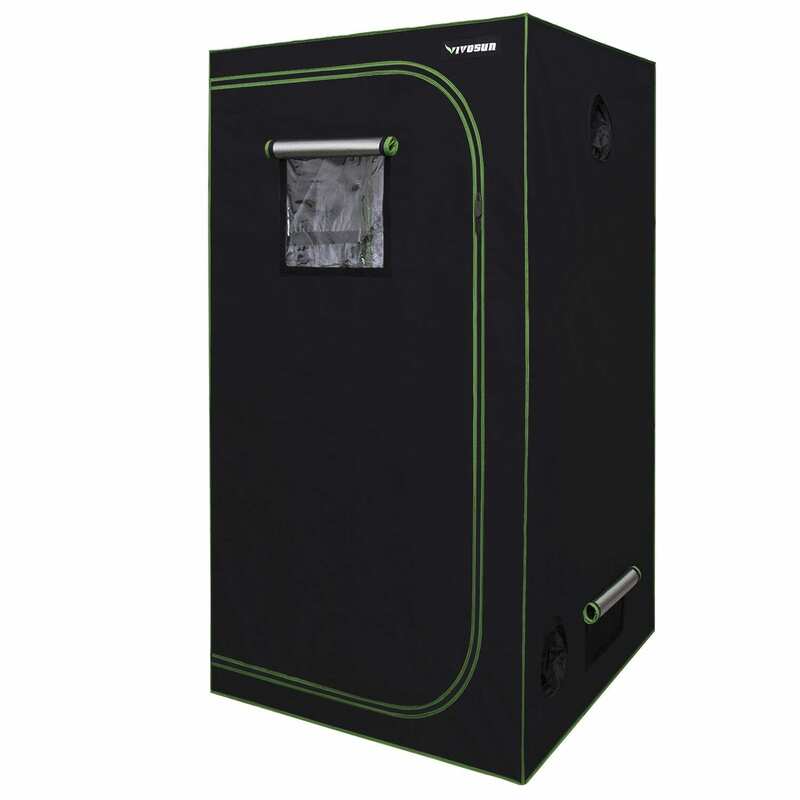 The grow tent has a 1-year warranty and weighs 18.05 pounds. Durable steel rods that can support weight up to 110 pounds. The iPower grow tent has a metallic frame making it durable and stable. It is made up of diamond-shaped Mylar which is up to 97% reflective, thus conserving energy, east management of internal climate, temperature and making your entire system power efficiency. The tent is entirely light proof and waterproof tent. It comes with a manual that makes the already easy installation even easier. The grow tent comes with a separate Mylar floor tray which can be removed hence easy to clean, two straps for filtering. It is long-lasting and tears proof tent comes with heavy-duty zippers and strong seams. The zippers are twice stitched so little light leaks out. The grow-tent has various for the ventilation of air, electric cables, filters, and other equipment. It has double openings thus making it easy for you to reach your plants. 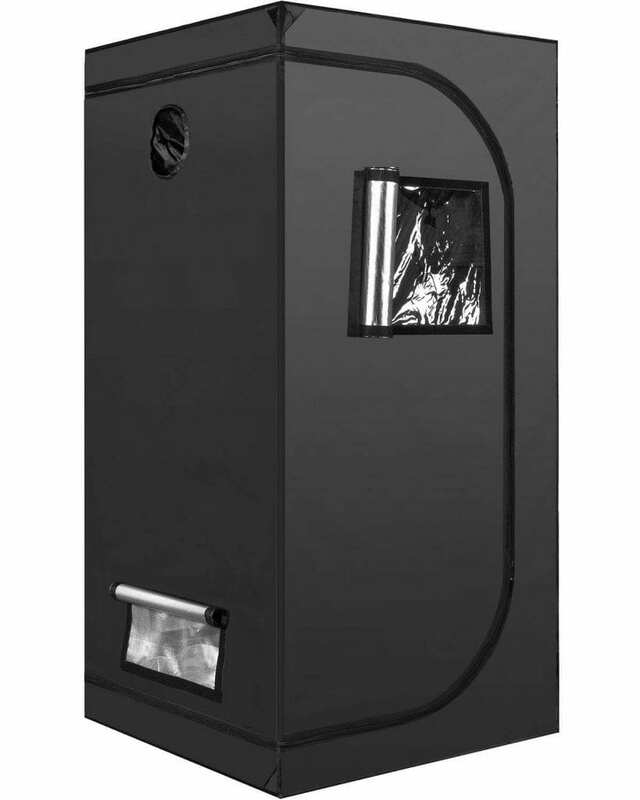 The grow tent can contain any odors produced and also allows for their management by devices like charcoal-filters and fans. It’s sturdy thus being able to support quite a few pieces of equipment. Do you want to knowhow to setup a grow tent?We have a video below that shows the whole process. It’s not hard! 3’×3’ grow tents do not occupy a lot of space but the yield is decent, thus you can enjoy a good yield on a small piece of land while saving up on water and power consumption. 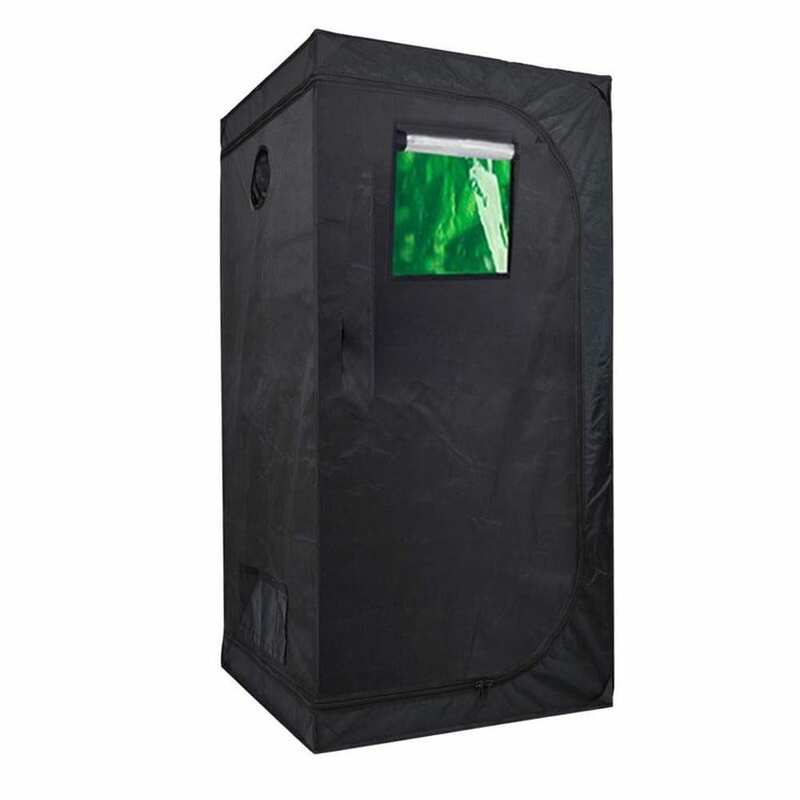 After having reviewed the best indoor grow tents we have concluded that our top choice is Vivosun Mylar Hydroponic 36″x36″x72″. The brand is a leader in the market and for good reason as all of their products are made using high-quality materials. The grow tent comes with a 2-year warranty, which is far longer than what other companies offer. Also, other reviewers have rated it very highly, it has a total of 4.1 stars out of 5 on Amazon. The 3×3 grow tent is a true investment that you’ll be highly satisfied with as it takes good care of your plants so they can grow beautifully.